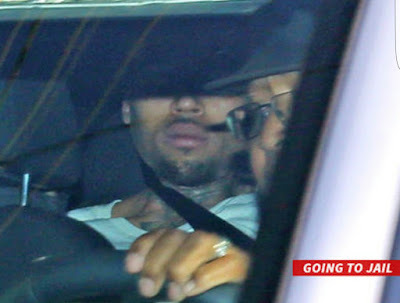 Chris Brown has been arrested on suspicion of assault with a deadly weapon, which is a felony charge. He was arrested after Miss California accused him of threatening her with a gun and a long standoff between him and the police. Lt. Chris Ramirez, a spokesman for the Los Angeles Police Department, said officers have transported Brown from his Tarzana home to downtown L.A., where he would be formally booked.